Arthritis is found in millions of Americans every year. Arthritis comes in many forms, although, there are a few repeat offenders that most people are aware of. Rheumatoid arthritis, gout, lupus, or fibromyalgia are the most common forms of arthritis. Symptoms of Arthritis may include, swelling, pain, stiffness, decreased range of motion, chronic pain, difficulty walking or climbing, degenerating joints, and even digestive problems in some cases. People commonly first start noticing symptoms of Arthritis in their hands. An active individual like a runner for example would be more prone to arthritis in their knees or ankle joints. Treatment for this disease usually means NSAIDs (Nonsteroidal anti-inflammatory drugs) and steroids while some people go as far as surgery. NSAIDs lead to kidney failure and heart problems while steroids may lead to weight gain, skin, and mood issues. The mentioned side effects and the growing opioid epidemic are the reasons why so many people have been searching for natural alternatives. If you are one of those people you are in luck! Below is a list of all natural arthritis and joint pain remedies. More than 11,000 studies have been conducted on Turmeric and almost 200 of those studies show that it helps reduce inflammation. Turmeric root contains a high amount of cur-cumin which these studies have shown is more effective and safer than NSAIDs at reducing inflammation. Green Lipped Mussels have anti-inflammatory properties that mimic the effects of NSAIDs, although, without the negative side effects. Studies have shown that the extract contains a high amount of Lyprinol which has anti-inflammatory and anti-arthritic properties. In fact, 75% of users showed a reduction in arthritic pain within the first month of treatment. Glucosamine is used by the body to form cartilage and to synthesize certain tissues. It is also a precursor to the formation of collagen, joint formation and tendon repair. The easiest way to get glucosamine into your diet is to use bone broth when preparing food. As a result of rheumatoid or osteoarthritis, an individual’s collagen levels will dramatically decrease. Studies have shown arthritic patients who had collagen administered to them, decrease swollen and tender joints and some cases even going into remission. Boswellia blocks the enzymes that produce inflammation while also decreasing pain levels, slowing degeneration, and increasing mobility in joints. When it comes to omegas, achieving the correct ratio is most important. A healthy balance of omega 6 and omega 3’s is a 2:1 ratio. In order to ensure that your body absorbs the correct ratio of omegas it is important to avoid other oils that will clog up your cells and increase your toxin levels. Toxic oils include vegetable oil, soybean oil, cottonseed oil and other similar oils that are commonly used when preparing food. Eliminating the toxic oils and getting the correct ratio of omegas will decrease inflammation and pain levels. Arthritis does not just appear one day. It can start to manifest if a joint is regularly over used or over stressed. Arthritis can also begin to appear after an injury. It’s not enough to just have any old adjustment. Proper Corrective Chiropractic Care gets to the root cause of a patients symptoms and restores health to an optimal level. 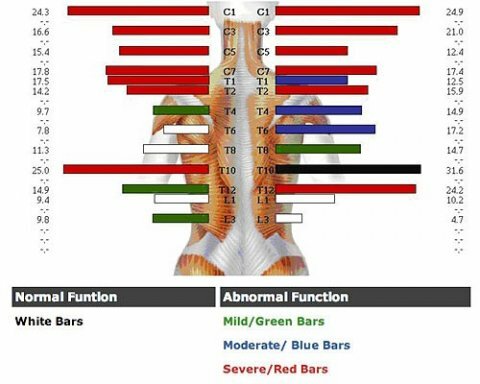 When the body is properly aligned it reduces pain and stress on your spine which most importantly- improves organ function. Proper Corrective Chiropractic Care can slow down degeneration of joints and potentially reverse some forms of inflammatory joint conditions. For more information please refer to the resources used in creating this blog located below. You can also check out the 5 essentials to optimize your health and learn how your arthritis or joint pain can be tamed. If you have any questions or would like to learn more, contact our office. Fat & Cholesterol in Thornton and Northglenn?